Our doctors are dedicated to meeting the needs for preventive and restorative dental care for the entire family. When you are treated by us, you can relax knowing you are in the hands of competent, experienced professionals with years of training and continuing education. All four doctors are members of the American Dental Association, the New York State Dental Association, the Eighth District Dental Society, the Erie County Dental Society, the University at Buffalo Dental Alumni Association, and the Catholic Charities of Buffalo Guild of St. Apollonia which provides dental care for those in need. 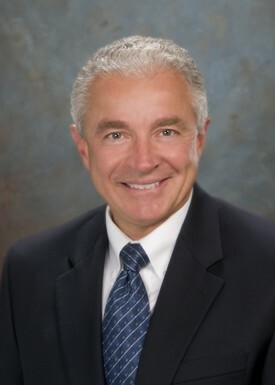 Dr. Modica graduated from the University at Buffalo School of Dental Medicine in 1982. After graduation he completed a one year general practice residency at Millard Fillmore Hospital . He was a member of the dental staff at that hospital until 1999. He started in private practice with his uncle, Dr. Joseph LaNasa, in 1983 and they worked together until Dr. LaNasa's retirement in 2001. In addition to membership in the associations mentioned above, Dr. Modica is currently treasurer and past president of the Fonzi Dental Study Club as well as past president of the Guild of St. Apollonia. He is also a member of the University at Buffalo School of Dental Medicine Dental Implant Study Club. Dr. Modica serves on the admission committee for the University at Buffalo School of Dental Medicine. He is on the Executive Council of the University at Buffalo Dental Alumni Association and is President Elect becoming President in 2018. Dr. Modica is very active in organized dentistry through his membership in the American Dental Association and the local component, the Eighth District of New York Dental Society. He is past chairman of the Building Committee, Service Corporation and was a councilor at large of the Executive Council for the Society. Currently he serves on the Executive Council as chairman of the Insurance Council and is a Past President for the organization. He has also served as a delegate in the House of Delegates of the New York State Dental Society and delegate for the American Dental Association House of Delegates. Dr. Modica was elected into Fellowship in the American College of Dentists in 2013 whose mission is to advance excellence, ethics, professionalism, and leadership in dentistry. The ACD is comprised of dentists who have exemplified excellence through their outstanding leadership and contributions to dentistry and society. Membership is by invitation only. About 3.5% of dentists are Fellows of the American College of Dentists. Dr. Modica was also inducted into the Pierre Fauchard Academy in 2015. This is an international honorary organization dedicated to the advancement of dentistry through education and service. The Academy only accepts those dentists who have either made significant contributions to the profession and the community or demonstrated outstanding leadership skills and have been recommended by a member. A lifelong Buffalo resident, Dr. Modica is married with four children and two grandchildren. His hobbies include music, both listening and playing, golf, travel, movies and sports. He has also been a long-time softball coach. Dr. Wisholek graduated from the University at Buffalo School of Dental Medicine in 1994. After graduation she completed a one year general practice residency at Millard Fillmore Hospital. She joined our practice in 1995. In addition to membership mentioned above she is also on staff at several skilled nursing facilities. Dr. Wisholek is married and enjoys travel, tennis, golf and her two cockapoos. Dr. Modica , Dr. Joe's sister, graduated in 1991 from the University at Buffalo School of Dental Medicine. She completed her general practice residency at Millard Fillmore Hospital in 1992. She then served as director of the Millard Fillmore Hospital Dental Department from 1992-2001. She was a faculty member of the University at Buffalo Dental School in the Oral Diagnostic Sciences Department until 2005. In addition to membership mentioned above, she is also on the board of the New York State EOC Dental Assisting Board. Dr. Modica is married and has a daughter. She enjoys the Buffalo Bills, reading, music, travel, and summer cottage life. Dr. Peter Davidow graduated from the University at Buffalo School of Dental Medicine in 2014 and went on to complete a 2-year residency program in General Dentistry at the Erie County Medical Center. He joined our practice in 2015 and provides treatment encompassing all areas of General Dentistry. Dr. Davidow is on staff at ECMC on a part-time basis and sees a broad range of patients there, including individuals with special needs, those with cancers of the head and neck region, patients who reside in the long-term care facility, and patients who have suffered trauma to the teeth or jaws. He is excited to have recently joined our practice. Dr. Davidow is an active member of the American Dental Association and the Eighth District Dental Society, and has also been a member of the Implant Study Club through the University at Buffalo. Dr. Davidow is getting married at the end of 2017. His hobbies include watching the Sabres and Bills, running, travel, music, and hiking.